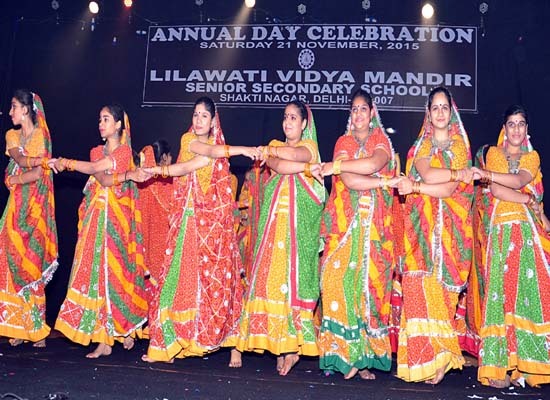 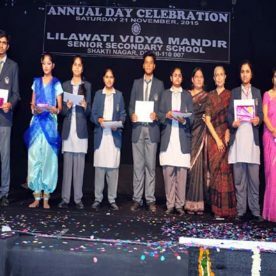 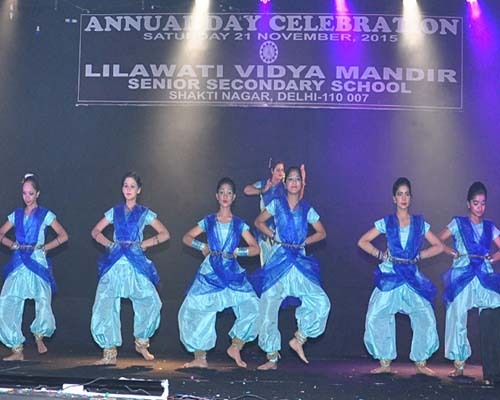 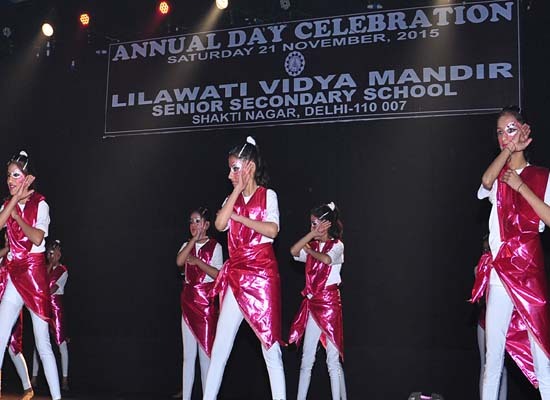 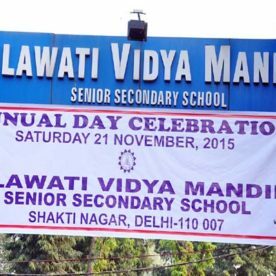 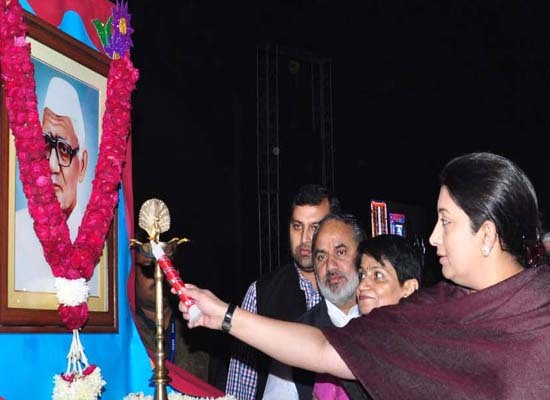 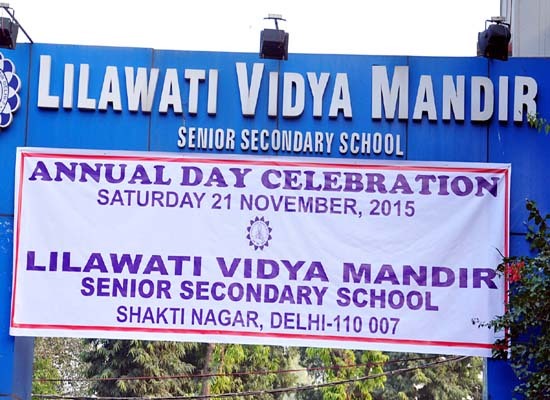 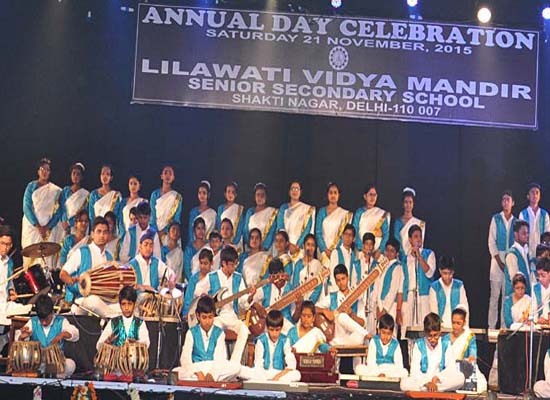 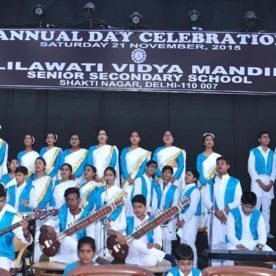 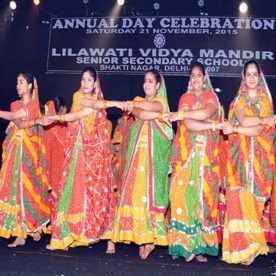 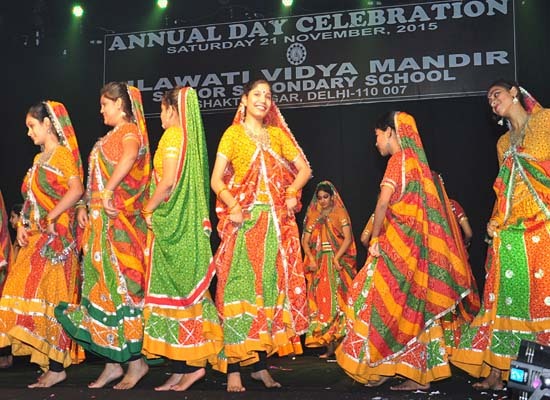 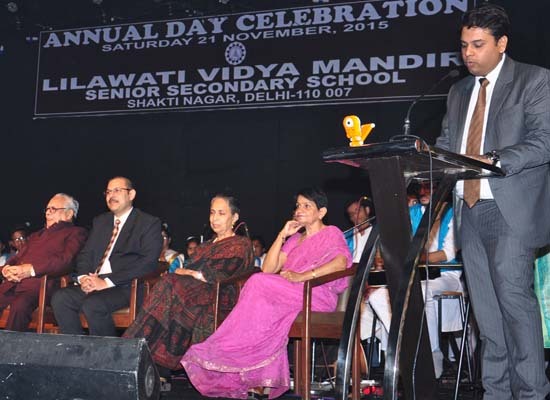 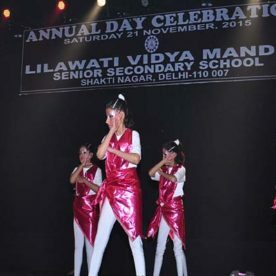 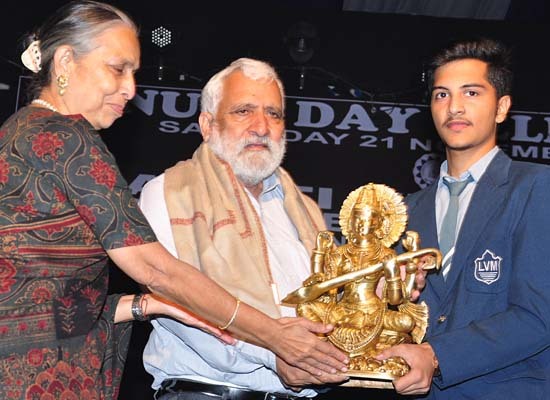 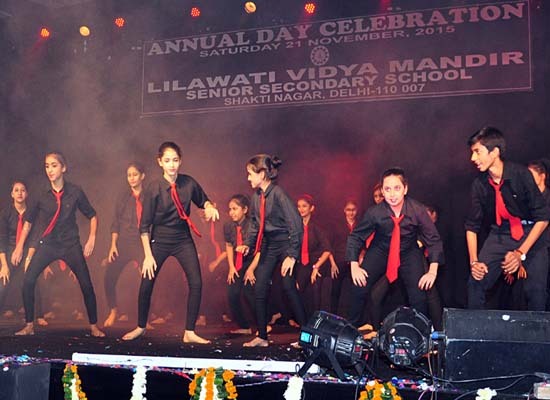 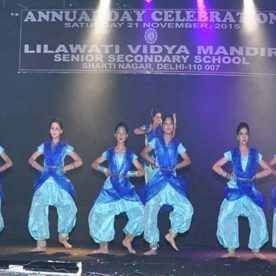 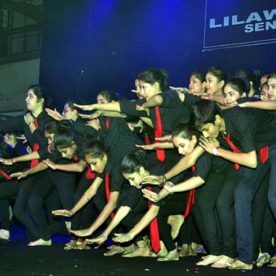 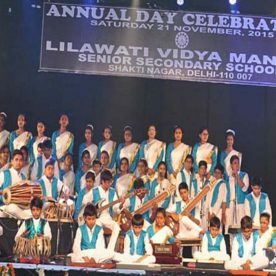 Lilawati Vidya Mandir, Shakti Nagar celebrated the Annual Day with great zest and fervour, on 21st Nov., 15. 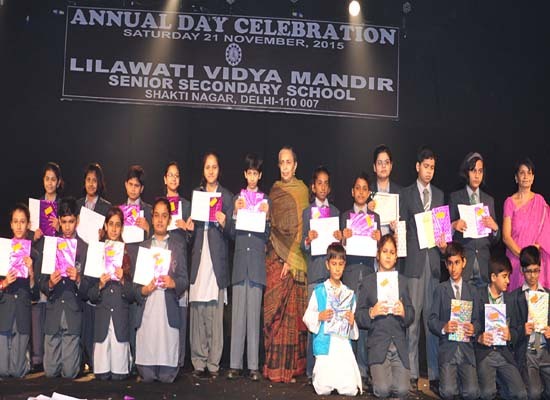 The Chief Guest for the occasion Smt. 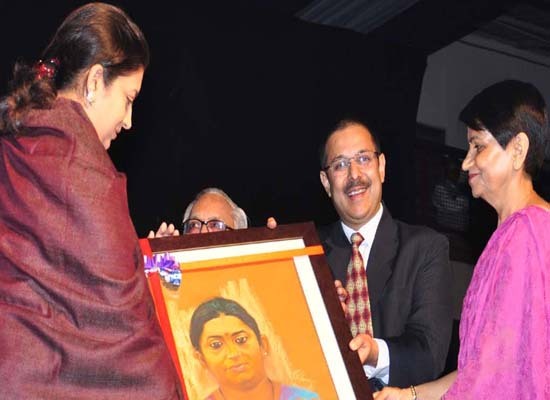 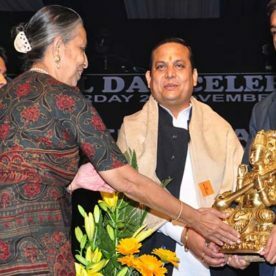 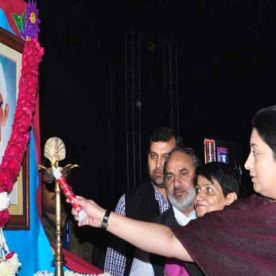 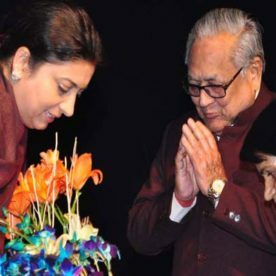 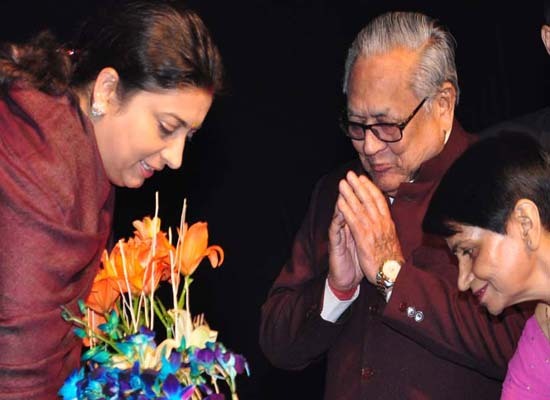 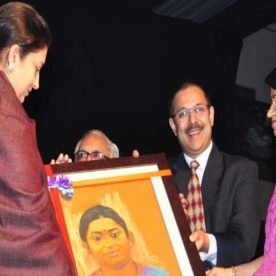 Smriti Irani, Hon’ble Minister of Human Resource Development and the Guests of Honour Prof. Kuldip Chand Agnihotri, (Vice Chancellor, Central University of Himachal Pradesh) , Shri Jai Prakash (Vice President, BJP) and Shri Arvind Garg (Councillor MCD) were welcomed with bouquets, shawls and mementos. 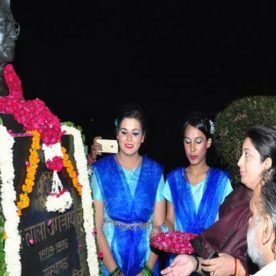 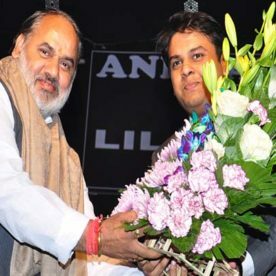 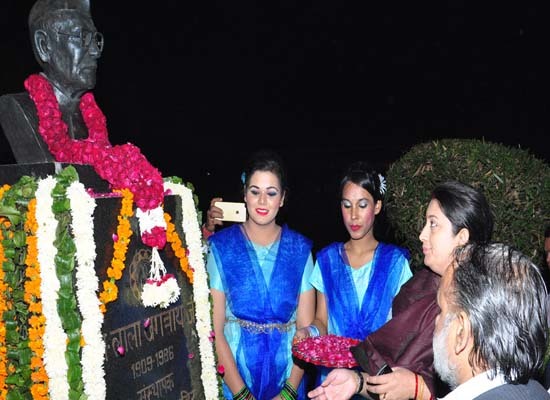 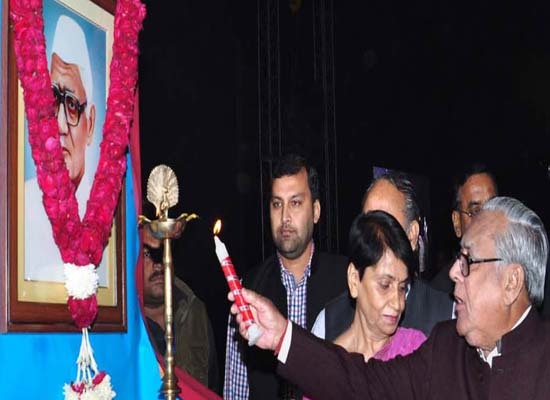 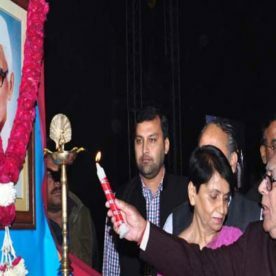 The programme began with lighting of the lamp as a tribute to founder Late Lala Jagan Nath ji by the school Chairman Shri Raj Kumar Gupta Ji and other members of the managing committee. 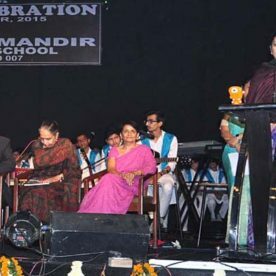 The Chief Guest, through her speech, inspired and encouraged the learners to embrace the policy of ‘Each One Teach One’ to educate the underprivileged. 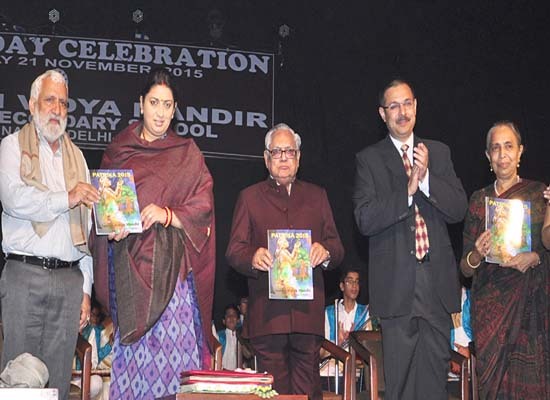 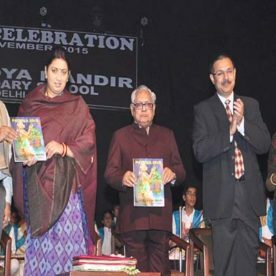 The school magazine ‘Patrika-2015’ was also released by her. 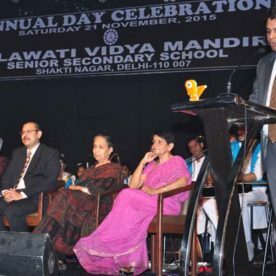 The Joint Secretary of the school, Yash Gupta Ji, spoke about his progressive ideas and announced that by the next academic session, the school will have its own Solar Energy Plant, a step forward in conserving the precious commodity- electricity, to fulfil the energy demand of the institution. 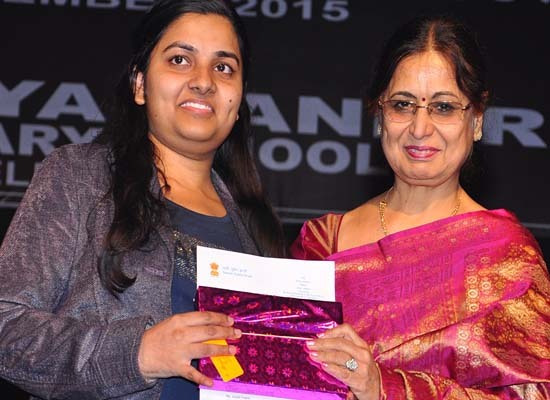 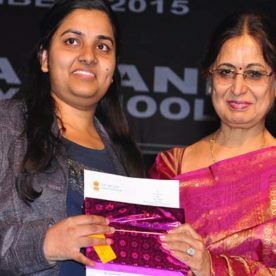 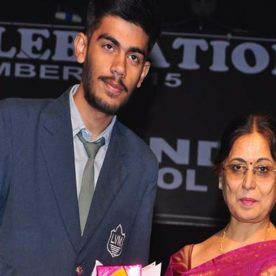 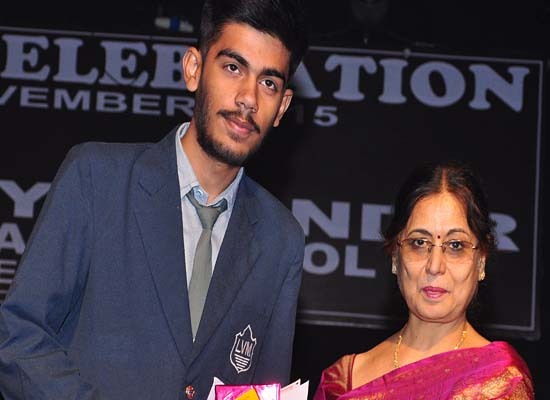 Principal Sushma Khurana highlighted the school’s soaring achievements in various fields. 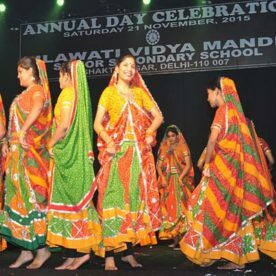 The cultural bonanza, which ensued, enthralled the audience. 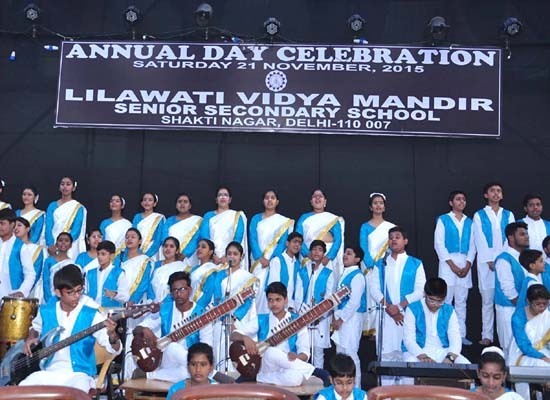 In ‘ANTARNAAD’ a group of 76 students invoked the muses through the mellifluous song ‘Hey Ganaraya …….’ accompanied by the school orchestra. 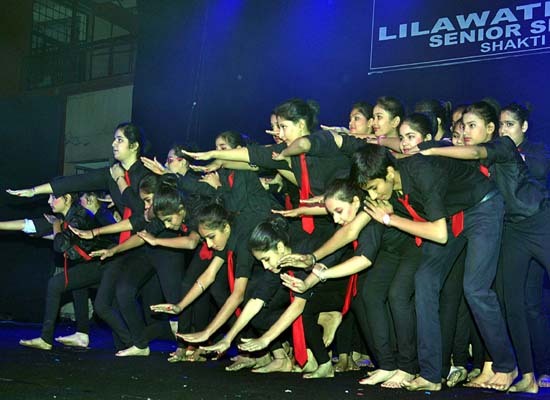 The contemporary dance sequence ‘Riotous Rhythms’, performed by Day-Boarders of the school, was loved by one and all. 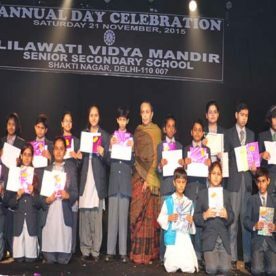 The short skits written, composed and directed by Lilawatiies were enjoyed thoroughly. 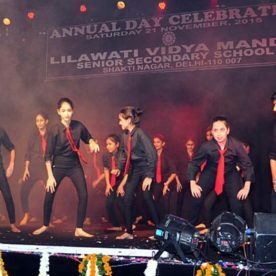 The last but not the least, fusion dance ‘Jyoti Punj’ mesmerised the spectators with its foot-tapping music and graceful moves. 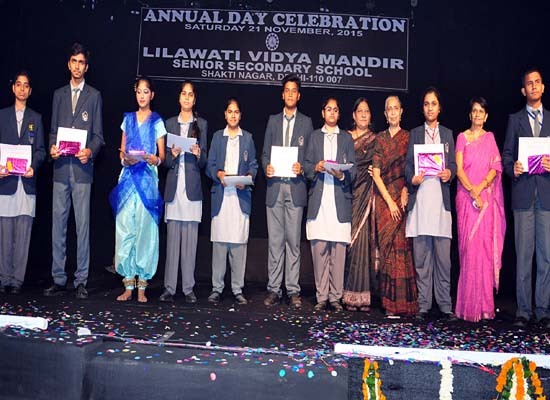 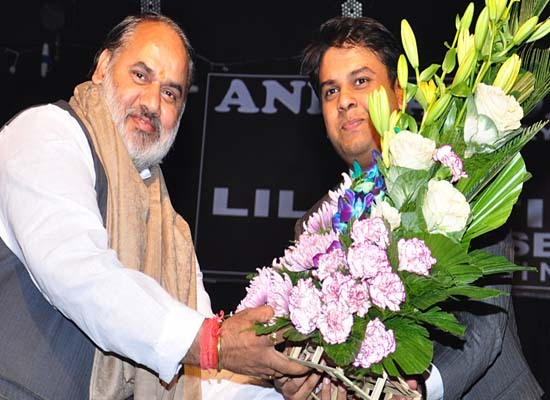 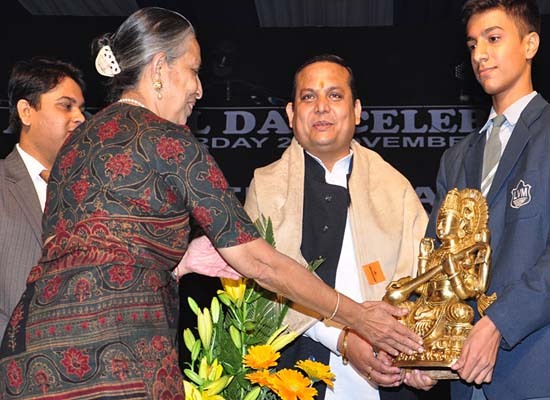 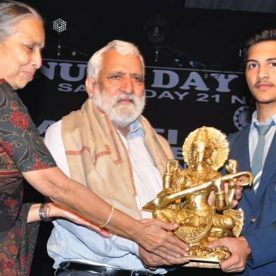 Guests along with the members of the school management felicitated the meritorious students. 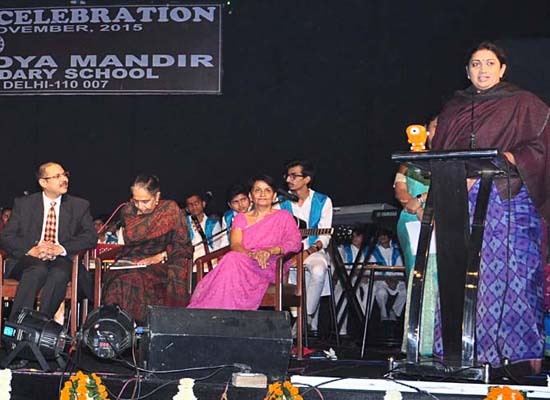 The Vice Chairperson Geeta Gupta Ji presented the Vote of Thanks.